As you’re deciding what pool to get, use our vetting checklist to interview the pool builders you’re looking at—and then get a look at their warranties! Remember, a pool manufacturer with a bad warranty probably has a bad product. But who or what covers the structural quality of the pool? And which pool type provides the best warranty overall? What's the difference between the warranties for concrete, vinyl liner, and fiberglass pools? A concrete pool has only one warranty: the builder’s. A vinyl liner pool has many warranties—the builder plus all the individual parts. (The warranty for the liner itself is very prorated and covers only the seams, not punctures or tears.) A fiberglass pool has one warranty from the manufacturer and one from the installer. Concrete pools have only one warranty: the builder’s. The pool is made of rebar, concrete, plaster, tile, and coping… basically, raw materials. The pool builder is completely responsible for that entire pool. No one else can be held accountable for that. Whatever warranty you get from the builder is your warranty, end of story. Unfortunately, that means that if your builder goes out of business, you have nowhere to go for repair reimbursement. Concrete pool builders’ warranties can vary a lot, since most are independent contractors, not national companies. There are also no national standards they’re held to. A vinyl liner pool is on the opposite end of that spectrum. Yes, you do have a pool builder, and that person will give you some warranty. Every single vinyl liner pool will have a construction warranty—the warranty from the pool builder who actually puts it all together. In most cases, this will cover one year minimum. Beyond that, you also have multiple warranties for the parts because it's built of multiple materials, all of which come from different places. So you'll have a warranty from the company who manufactures the wall panels, another from the company who produces the vinyl liner, another for the steps, another from the coping company. At this point you'll barely be coping. It's a lot of different parties at play. Because of that, you'll often see a lot of finger-pointing. Unfortunately there are few, if any, people who do all aspects of vinyl liner pools all by themselves. You'd think they would, but no. In most cases, the main warranty that comes into play is that of the liner itself. It's super important to understand what's covered and what's not covered in a vinyl liner warranty. Typically, the manufacturer provides a 20-year warranty on the liner. However, it’s misleading in several ways: what it covers and how much it pays. What does a liner warranty cover? In most cases, the warranty covers the seams: the slight ridge where one piece meets another (not the outside edges where you install it). Often the only thing the warranty will cover is that the seams won’t separate. Unfortunately for you, that’s the least of your potential problems. Since liners are so thin, you’re more likely to get a tear or puncture than a seam separation. Almost all the time, these are not covered, so the cost falls to you. Insects such as ants or termites can chew holes in a liner. That’s kind of gross, but also costly. Most liner warranties won’t cover this either. If you need a liner replacement for any reason, you’ll also have to pay for the labor, water, chemicals, and so on—even if the company pays to replace the liner itself. How much will a liner warranty pay? The warranty is prorated: the manufacturer will cover less and less of the cost as time goes on. Another example: Some manufacturers will cover 100% the first year or two, then immediately drop to 50-70% after that, and continue to sink until the 20 years are up. Either way, even someone who’s bad at math can see that it’s not looking great for your bank account. But here’s the thing: if a liner is bad, it’s usually bad right out of the box. It’ll leak as soon as you start putting water in it. It’s not like it’ll start to leak at the seams after a year or two. Either the seams are welded together correctly, or they aren’t. It’s lose-lose. A) the warranty won’t actually cover the damage you’re likely to find, and B) even if you suffer the seam separation that it does cover, the manufacturer won’t pay much to replace the liner. Fiberglass pools are built off-site beforehand, delivered to your backyard, and installed there. So there isn’t a “builder,” so to speak—there’s a manufacturer and an installer. You’ll get a warranty from each. This is the only pool you can own that gives you the added security of a warranty from an independent company. The manufacturer’s warranty and the installer’s warranty are separate, so the manufacturer’s warranty holds whether or not the installer is involved. This has the advantage of not having all your eggs in one basket, while also not having 5 million eggs in 5 million baskets. The installer warranty is sort of like the builder warranty, in that it protects you from leaks, shifting, and settlement. The structural warranty says how long they guarantee the pool will hold water. Usually it will last “for the life of the pool,” i.e., as long as the pool is owned and in normal use. If it cracks, the manufacturer will come out and fix it. The surface warranty can be a little trickier. It needs to specifically cover osmotic blisters on the surface of the pool. Be sure to ask the 4 big questions to be sure you’re getting what you need. How do pool warranties compare? 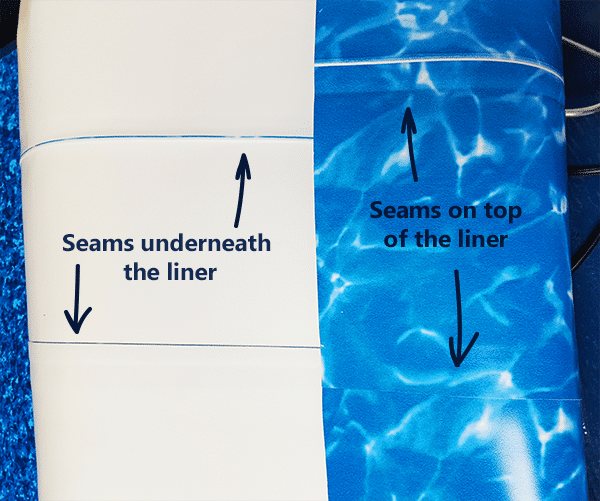 For a vinyl liner pool, the only practical part of the warranty is the liner itself. The wall panels don’t usually have issues until 30+ years down the road, but every liner fails. It’s just a matter of time. However, the liner warranty is prorated and usually only covers the seams. In essence, there’s no warranty at all for a vinyl liner pool. Say a fiberglass pool installer puts the pool in, then goes out of business. Ten years later, the pool fails. The pool itself is still under the manufacturer’s warranty. Because of this, you can still contact the manufacturer, who can come out and fix it. The fact that the structural warranty is through the fiberglass pool manufacturer is a huge advantage compared to a concrete pool, where the structural warranty is just through the pool builder itself. For a concrete pool, once your pool builder goes under, there’s nobody on earth to cover your warranty. The concrete plant that supplied your concrete is not going to cover it. No one will back it up. You will be sad and alone, and you won’t even have a working pool to sulk in. If a concrete pool shell cracks and your builder doesn’t stand behind it, you’re out. The warranty is only as good as the builder. With a fiberglass pool, you have the security of knowing you have the builder (the installer) but you also have the manufacturer, which operates on a much larger scale than your average local pool guy. They have a support/warranty team there to serve you, repair technicians, etc. Here at River Pools, we’re open about our structure and surface warranties because we’re confident in our pool products! Note: these warranties don’t cover installation aspects because, as always, you’ll get a separate warranty from your installer. That will cover the transport, plumbing, installation, and so forth. We hold our dealers to the same high standards as ourselves. Click here to read our entire warranty. At River Pools we offer freeform and linear fiberglass pools in Virginia and southern Maryland (and in other states through our dealers). Get in touch with us, and we’ll be happy to help you on your pool journey! Any other questions about the process of buying the perfect fiberglass pool? Dive into our ebook—it includes all the details you’ll need to make the best decision for you and your family! 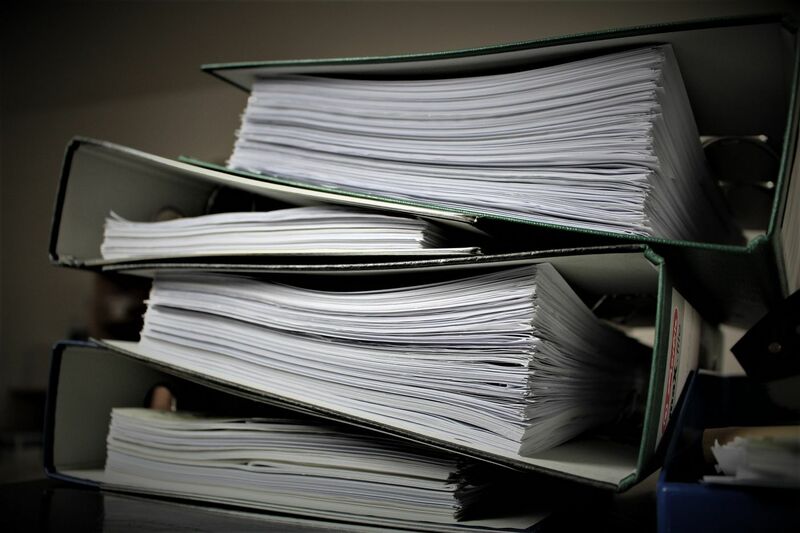 Editor's note: This blog article was updated on March 15, 2019.